Following the great success of OpenStack Day UK Bristol (at which I presented for StackHPC), I invited Jonathan Bryce and Lauren Sell to call in and see the team at Cambridge University and talk scientific compute on OpenStack. To our great delight, they accepted! To mark the occasion, we thought of a bit of historical fun. 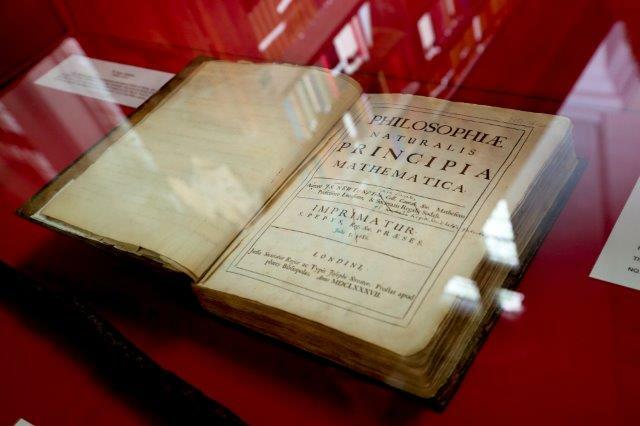 To coincide with the release of OpenStack's 14th version, known as "Newton", we went in search of some memorabilia of Isaac Newton, father of the laws of motion, theories of gravity and co-creator of mathematical calculus. 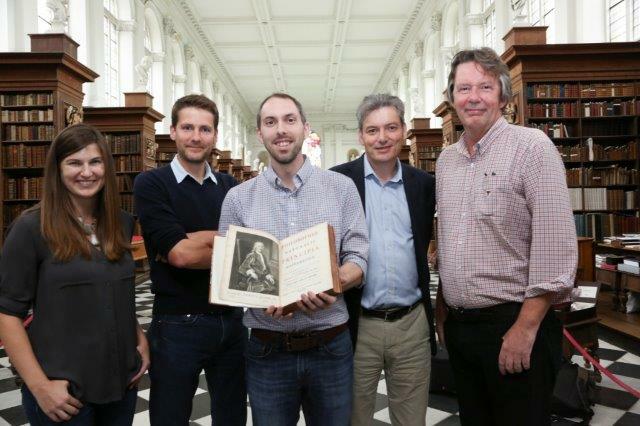 At Trinity College, the Wren library holds a precious first edition of his work. 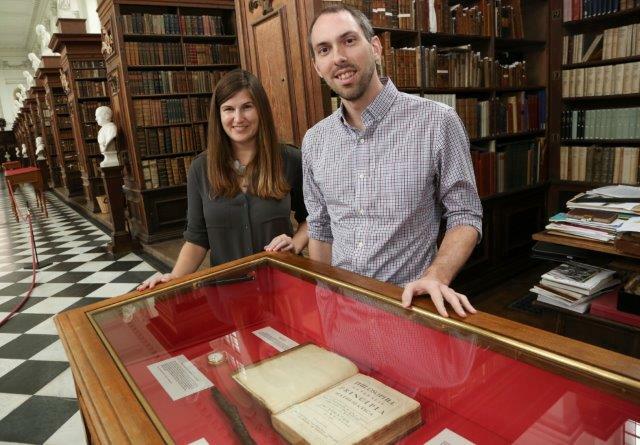 We were lucky on the timing of our visit: that day they had received a third edition, dating from 1726, which we could handle. With thanks to the Master and Fellows of Trinity College, Cambridge.